Chair of the executive committee IDEA-League International Joint Master program Applied Geophysics. Theory of electromagnetic and seismo-electromagnetic geophysical methods, Green’s function retrieval, imaging, and inversion. Since the recent work of Snieder and his group we know that a virtual source can be placed inside a 1D heterogeneous medium without having a receiver inside this medium (Broggini and Snieder, 2012). The curious aspect of the theory is that no information is needed about the 1D medium. Soon after this discovery it was Kees Wapenaar who showed how this methodology could be generalized to 3D media (Wapenaar et al., 2013). The electromagnetic version of this methodology requires research on how to adapt the current framework such that media with losses can be handled. Applications lie in imaging with internal multiples and inversion for ground penetrating radar and diffusive electromagnetic methods. 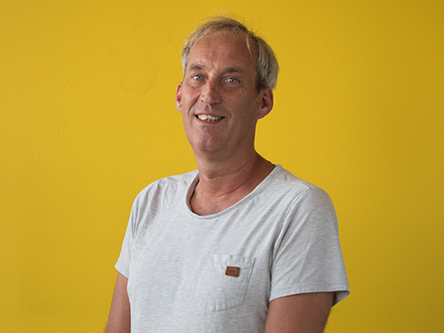 If you are interested in the topic, see the website of Kees Wapenaar on the seismic method and the journal papers that are published by people in our group. Electromagnetic interferometry is the methodology where virtual source electromagnetic responses are created by crosscorrelating or crossconvolving observations at different locations. This is analogous to seismic interferometry, see the website of Kees Wapenaar, including a list of all journal publications on this topic. One of the important aspects of this methodology for electromagnetic fields is to account for losses. Some acquisition geometries seem to allow for crosscorrelation methods and these are currently studied for ground penetrating radar application in monitoring studies. In general and for diffusive electromagnetic fields in particular a new methodology was developed, coined interferometry by multidimensional deconvolution. This method can be used for seismic data as well and requires all sources and receivers to be on one side of the target object. In this approach many sources and for each source receivers must be available to create virtual source data at the receiver level. Controlled Source Electromagnetic Method (CSEM) addresses electromagnetic exploration and monitoring methods in which active sources are used as opposed to Magnetotelluric (MT) methods in which natural sources are used. During the last ten to fifteen years much of the developments are related to hydrocarbon exploration. This topic deals with finding a relative thin but horizontally elongated resistive body in a conductive embedding. A thin elongated resistor can be detected by fast horizontal diffusion through the resistive body with relatively little attenuation. This is relative to the slower diffusion through the conductive embedding where the attenuation is much higher. In a marine setting with sources employed in the sea and receivers usually at the sea bottom the air is the best resistor available. This can lead to strong signal at the receivers that have diffused upward and then propagated as a wave through the air, which couples back into the sea where it diffuses down to the receivers. For relatively shallow sea this signal can be stronger than that of the resistive hydrocarbon reservoir. Ground penetrating radar (GPR) uses radar technology to investigate the shallow subsurface. Only in ice environments electromagnetic waves at the radar frequencies (10 MHz-10 GHz) can penetrate more than 1 km, whereas in most soils and rocks the penetration depth is at best tens of meter. For road layer related and hydrogeophysical investigations frequencies in around 1 GHz are being used. To obtain quantitative information from measured GPR the source time signature needs to be known and together with Sébastien Lambot from UCL we developed a novel method to model a mono-static air-launched horn antennas as a complex scattering point when used with a vector network Analyzer (VNA). This allowed us to perform calibration measurements to determine the scattering parameters after which true amplitude reflection responses of the subsurface can be retrieved from the data. This leads to true amplitude inversion schemes. I am working on methods for subsurface imaging, inversion, and characterization with GPR data. A possible application is using GPR as a monitoring tool in hydrocarbon production boreholes. GPR is quite sensitive to water content and this sensitivity can be exploited in production monitoring environment. Special issue on Ground Penetrating Radar in Journal of Selected Topics in Applied Earth Observations and Remote Sensing. To be published in 2015. Eds. L. Pajewski, A. Giannopoulos, M. Sato, and S. Lambot. Special issue on “Ground Penetrating Radar for nondestructive evaluation of pavements, bridges and subsurface infrastructures” in the Journal of Applied Geophysics, October 2013. Eds. L. Pajewski, A. Benedetto, A. Loizos and E. Slob. Special issue on Advanced GPR imaging and inversion for hydrogeophysical and subsurface property estimation, Near Surface Geophysics, April 2013. Eds. J. van der Kruk, E. Slob and L. Crocco. Special issue on Advanced Methods and Modelling for GPR in Near Surface Geophysics, June 2011. Eds. L. Crocco and E. Slob. Special section on Hydrogeophysics: Electrical and Electromagnetic Methods in Geophysics, July/August 2010. Eds. J. van der Kruk, A. Revil and E. Slob. Special issue on Advanced Applications, Systems and Modeling in the Journal of Applied Geophysics, April 2009. Eds. N. Cassidy, E. Slob and F. Soldovieri. Special issue on GPR in Hydrogeophysics in the Vadose Zone Journal, February 2008. Eds. A. Binley, S. Lambot, E. Slob and S. Hubbard. Special issue on ground penetrating radar in Near Surface Geophysics, February 2006. Eds. E. Slob and A.G. Yarovoy. Special issue on GPR in Subsurface Sensing Technologies and Applications: an International Journal, April 2005. Eds. A.G. Yarovoy and E. Slob. Special issue on GPR in Subsurface Sensing Technologies and Applications: an International Journal, January 2005. Eds. A.G. Yarovoy and E. Slob. Special issue on Advanced GPR Technology in Near Surface Geophysics, February 2004. Eds. E. Slob and A.G. Yarovoy. Special issue on GPR in Subsurface Sensing Technologies and Applications: an International Journal, January 2003. Eds. E. Slob, P.M. van den Berg, and J.T. Fokkema. Special issue on GPR in Subsurface Sensing Technologies and Applications: an International Journal, October 2002. Eds. E. Slob, P.M. van den Berg, and J.T. Fokkema. To give meaning to the data acquired with Ground penetrating radar (GPR), diffusive electromagnetic, and seismo-electromagnetic methods it is necessary to understand macroscopic electric and seismo-electric responses of actual soils and rocks. For this reason we study the electromagnetic and seismo-electromagnetic responses of artificial and real samples, in laboratory and field conditions. We try to model the measured data such that these models can then be used in data imaging, inversion, and characterization.